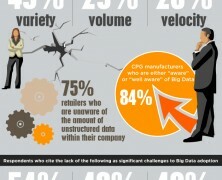 How manufacturers and retailers see the big data management case? Do they realize the potential and the benefits? And how many of them have taken action to tap into the insights from data mining projects?